He took me for dinner at Licorish Bistro. To say we had a stunning experience there would be an understatement. It was a superb evening from the service to the food to the company ;) I would highly recommend this spot for a special night out. I had their Scallop Tempura to start. I was a little nervous cause it was a bit of a toss-up between that and their Goats Cheese Strudel. I'm not generally sure where I stand on scallops, I don't like it when they remind me too much of mussels and are remotely chewy. But since I'd decided on their Harisa Crusted Scottish Salmon for my main, I decided to stick with the seafood theme. The scallops were divine. Honestly, delish and the Mango chutney the came with was seriously addictive! The salmon is probably the best Salmon I've had since F!sh. So yummy. The Trucker started with their Star Anis & Cinnamon Cured Beef, which he really enjoyed. I had a taste, but it was too licorish-y for me. I think it is right up there with my worst flavour, along with Olives. He had their fillet taster-plate for mains. What a fabulous idea and they offer a fish one as well. 3 small fillets done in 3 different ways with 3 taster glasses of wine to go with each. He absolutely *loved* it. My favourite thing was the wood-smoked flavour of their mashed potato. Oh. My. Word. What a spectacular extreme opposite to my Wednesday evening restaurant experience. On Saturday I had to head back to Tiger Wheel & Tyre. My back-left tyre has been leaking air since I had the tyres replaced just before we went to Vietnam, less than ideal. We had breakfast at Europa in Sandton while they investigated. Seems I now need 2 new wheel rims (for the 2 back wheels). #sigh. It never ends :( Anyway, they knocked them out a bit to stop the leaking, so that gives me a little time to figure out what I want to do ... this is all very time-consuming. Seriously, how does anyone get anything done in Joburg or South Africa in general when things are only open while everyone else is at work or for a mere 4 or 5 hours on a Saturday morning. Urgh. Annoyed. We made a turn at the Bakos Brother's sale, but the queue was probably more than an hour long so we hopped straight back in the car. 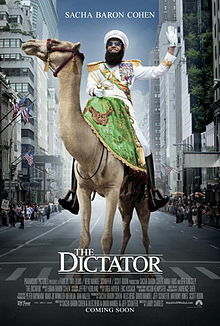 We relaxed for a bit in the afternoon and watched The Dictator. Meh, it had some kinda funny moments, but I'm not a huge Sascha Baron Cohen fan. After that we headed off to a friend of The Trucker's for a braai. Turned out to be a pleasant afternoon, although I didn't really know anyone there. On Sunday we headed out for breakfast with The Trucker's sister and niece and then got some shopping and had a generally quite relaxing day. The Trucker was mostly out doing work admin and getting his car cleaned, while I cleaned the bunny hutch and didn't really do much of anything, really. Oh yes, I did get this week's blog posts ready tho ;) Yay. 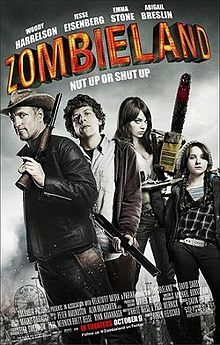 We watched Zombieland which I also did not think terribly much of ... Not a very good movie weekend. Haha.